Many updates ago, the first iteration of Personal Missions arrived. These additional challenges ultimately rewarded you with the highly sought-after female tankers and a selection of special tanks. Almost a year ago, Personal Missions received a major overhaul with Update 9.20.1. The update made it easier for players to understand the overall concept and the addition of Orders gave them a helping hand to finally complete that one pesky challenge they had left, keeping them from their female tank member or reward vehicle. Now, we are about to release The Second Front: a new collection of missions with rewards just as good as the first campaign! With a base from the same principles as the original, these are completely new challenges for you to reap memorable rewards. 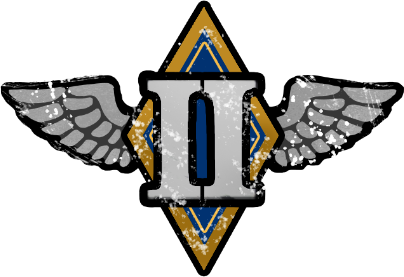 The Second Front will be available to all players. For those who haven't completed the 1st campaign, both sets of Personal Missions can be run in tandem. For those of you looking to be efficient, take a look at the missions within The Second Front and pick similar tasks from the first campaign to complete in a single battle. 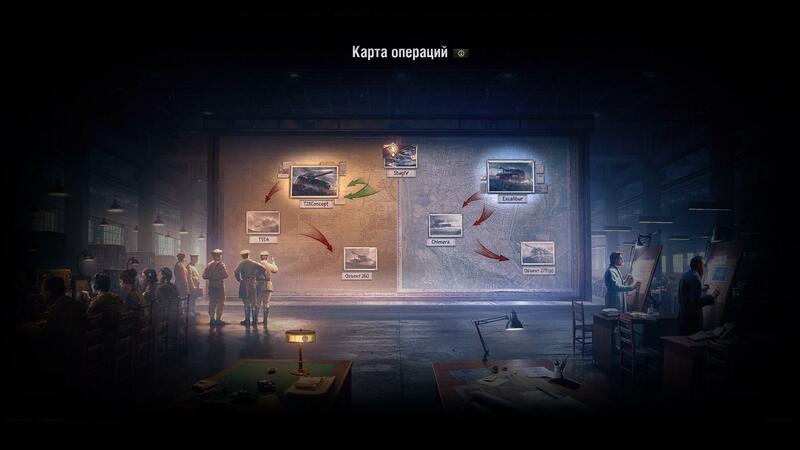 EXAMPLE: Running Bloc-2 (2nd Campaign) and Heavy Tanks Mission 15 (1st Campaign) at the same time means you can complete two missions with one battle. The first operation is all about persistence. These are missions that can be completed over time and require you to show your prowess in victory and resilience in the jaws of defeat. These missions have a secondary task that’s not needed to start the next mission, but completing it means doubling your progress towards a blueprint. The second operation is all about showcasing your skill in one specific battle. These missions revolve around one match, whether it be dealing a set amount of damage, destroying enough enemy tanks, or any other objective. They are reminiscent of the older Personal Missions. The third operation is all about showing consistently good results over several battles. These missions require you to have more than just luck on your side. Prove your worth over a series of battles to complete these missions. Progress acceleration: complete the secondary condition 5 times to earn an x2 increase in progress for the completion of the primary condition. Union-1. Full Cooperation Enable your allies to cause 15 000 HP of damage to enemy vehicles that do not belong to Union by spotting them or destroying their tracks. Survive the battle. Bloc-1. Bad Seed Cause 12 000 HP of damage to enemy medium tanks. Cause 3 000 HP of damage to enemy vehicles. Alliance-1. Hard and Demanding Labor Destroy 20 enemy vehicles. Cause 3 000 HP of damage to enemy vehicles. Coalition-1. 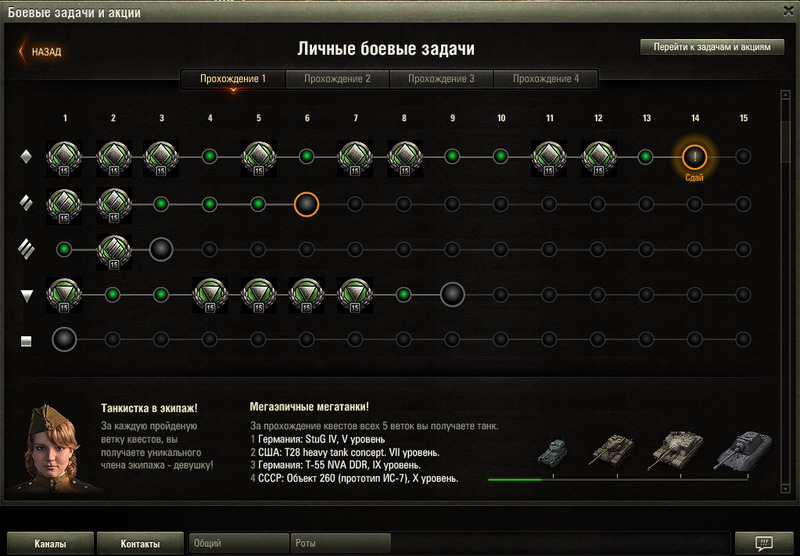 The Key Target Cause 12 000 HP of damage to enemy heavy tanks. Destroy 2 enemy vehicles. Union-2. Turn Off the Lights Cause 8 000 HP of damage to enemy light tanks. Cause 2 000 HP of damage to enemy vehicles. Bloc-2. One More Time, Please Block damage from 2 enemy vehicles 15 times. Survive the battle. Alliance-2. A Strike Out of the Blue Stun 30 different enemy vehicles. Be among the top 3 players on your team by experience earned. Coalition-2. Knock Out the Stuffing Destroy enemy internal modules or injure crew members, totaling at least 40 modules or crew members. Stun 2 enemy vehicles with one shot. Union-3. V Is for Vengeance Destroy 15 enemy vehicles that caused damage or hit your vehicle with no damage. Survive the battle. Bloc-3. Tanker Tailor Soldier Spotter Destroy 10 light enemy tanks. Cause 3 000 HP of damage to enemy vehicles. Alliance-3. No More Traps Cause 10 000 HP of damage to enemy tank destroyers. Destroy 2 enemy vehicles. Coalition-3. Viva la Coalition Destroy 20 enemy vehicles that do not belong to Coalition. Cause 3,000 HP of damage to enemy vehicles. Union-4. Like a Stone Wall Block 40 hits to your vehicles. Survive the battle. Bloc-4. Take No Prisoners Enable your allies to cause a total of 8 000 HP of damage to enemy light tanks, medium tanks or tank destroyers by spotting them or destroying their tracks. Survive the battle. Alliance-4. The All-Searching Eye Spot 25 enemy vehicles while remaining unspotted. Destroy an enemy vehicle / capture the base / defend the base (when playing for defenders in the in Assault mode). Coalition-4. Target Finder Enable your allies to cause 15 000 of damage to enemy vehicles by spotting or destroying their tracks. Survive the battle. Union-5. I Follow SPG Cause 3 500 HP of damage to enemy SPGs. Cause 2,000 HP of damage to enemy vehicles. Bloc-5 Like a Hot Knife Through Lard Score an armor-penetrating hit to an enemy vehicle the indicated number of times: 60 Destroy 2 enemy vehicles. Alliance-5. Cut Off the Edge of Attack Destroy 15 heavy enemy tanks. Cause 3,000 HP of damage to enemy vehicles. Coalition-5. Breaking Point Cause 20 000 HP of damage to enemy vehicles that do not belong to Coalition. Destroy 3 enemy vehicles. Union-6: Focal Point Enable your allies to destroy a total of 12 of enemy light tanks, medium tanks or tank destroyers by spotting them or destroying their tracks. Destroy an immobilized enemy vehicle. Alliance-6. You Might as Well Talk to a Brick Wall Block 15 000 HP of damage. Survive the battle. Coalition-6. At the top of Olympus Be the top player on your team by damage caused. Survive the battle. Union-7. A Heavy Blow to Medium Tanks Destroy 15 medium enemy tanks. Cause 2,000 HP of damage to enemy vehicles. Bloc 7. The Lighting Rod Be the top player on your team by total damage blocked by armor (at least 1,000 HP), 10 times Be the top player on your team by damage caused. Alliance-7. Fire Till the Last Shell Cause 25,000 HP of damage to enemy vehicles. Finish the battle as the top player on your team by experience earned. Coalition-7. First Among Equal Destroy 20 enemy vehicles that of the same tier as your vehicle or higher. Cause 3,000 HP of damage to enemy vehicles. Union-8. Call All the Shots Enable your allies to cause 10,000 HP of damage to enemy vehicles by spotting, stunning them or destroying their tracks. Stun enemy vehicles for a total of 100 seconds. Bloc-8. Everyone is Equal Destroy 3 enemy vehicles of 2 different types 7 times. Be the top player on your team by damage caused. Alliance-8. There Is No Escape Stun 2 enemy vehicles with one shot 7 times. Stun enemy vehicles for a total of 100 seconds. Coalition-8. Got Your Help Enable your allies to destroy 10 enemy vehicles by spotting them or destroying their tracks. Destroy an immobilized enemy vehicle. Union-9. Double or Nothing Cause twice more damage than the hit points of your vehicle 10 times. Destroy 2 enemy vehicles. Bloc-9. The Sword of Damocles is Hanging Enable your allies to destroy a total of 7 of enemy heavy or medium tanks by spotting them or destroying their tracks. Destroy an immobilized enemy vehicle. Alliance-9. The Survival of the Fittest Destroy 10 enemy vehicles that belong to Alliance. Cause 3,000 HP of damage to enemy vehicles. Coalition-9. Face to Face Cause 15,000 HP of damage during the first 3 minutes of the battle. Destroy an enemy vehicle / capture the base / defend the base (when playing for defenders in the in Assault mode). Union-10. Raise the Flag! Participate in the successful capture of the base. Be among the top 5 players on your team by experience earned. Bloc-10. Selective Approach Cause 12,000 HP of damage to enemy vehicles that belong to Bloc. Destroy 2 enemy vehicles. Alliance-10. Valuable Assistance Enable your allies to cause a total of 5,000 HP of damage to enemy heavy or medium tanks by spotting them or destroying their tracks. Survive the battle. Coalition-10. The Exemplary Performance Finish the battle as the top player on your team by experience earned. Survive the battle. Union-11. Like a Rolling Stone Destroy 2 enemy vehicles. Cause 3,000 HP of damage to enemy vehicles. Bloc-11. Strike With All Your Might, Boys Cause 35,000 of damage to enemy vehicles. Stun 3 different enemy vehicles. Alliance-11. Strike the Iron While It Is Hot Cause 1 500 HP of damage during the first 3 minutes of the battle 10 times. Destroy an enemy vehicle / capture the base / defend the base (when playing for defenders in the in Assault mode). Coalition-11. Hunted Hunters Destroy 10 enemy tank destroyers. Cause 3,000 HP of damage to enemy vehicles. Union-12. Mr. Untouchable Block twice more damage than the hit points of your vehicle 5 times. Survive the battle. Bloc-12. Easy Cooking Destroy 2 enemy vehicles during the first 3 minutes of the battle 5 times. Destroy an enemy vehicle / capture the base / defend the base (when playing for defenders in the in Assault mode). Alliance-12. Concrete Defense Block 5 enemy hits 15 times. Survive the battle. Coalition-12. Irreparable Damage Cause 25,000 HP of damage to enemy vehicles. Destroy 2 enemy vehicles. Union-13. Ramming Is the Weapon of Heroes! Cause damage to an enemy vehicle by ramming. Survive the battle. Bloc-13. For the Common Good Be among the top 3 players on both teams by damage caused 10 times. Survive the battle. Alliance-13. Counter-offensive Destroy 15 enemy vehicles during the first 3 minutes of the battle. Cause 3,000 HP of damage to enemy vehicles. Coalition-13. My Warmest Regards Destroy 5 enemy SPGs. Cause 3,000 HP of damage to enemy vehicles. Union-14. A Heavy Blow Destroy 7 enemy vehicles that lost over 50% of their hit points as the result of your damage caused. Cause 3,000 HP of damage to enemy vehicles. Bloc-14. A Hard Nut to Crack Block twice more damage than the hit points of your vehicle. Finish the battle as the top player on your team by damage blocked. Alliance-14. A Crashing Blow Allies must destroy 7 enemy vehicles stunned by you. Stun 2 enemy vehicles with one shot. Coalition-14. The Battle Is Calling Cause 8 armor-penetrating shots during the first 3 minutes of the battle 10 times. Destroy 2 enemy vehicles. Union-15. For the Glory of Union! Receive the Mastery Badge I Class or higher. Receive the Ace Tanker Mastery Badge, 3 times. Bloc-15. Mouthful of Diamonds Earn a total of 15 rewards of the Battle Hero category and epic medals in a battle. Earn a total of 2 rewards of the Battle Hero category and/or epic medals in a battle, 3 times. Alliance-15. Alliance Hero Receive the Mastery Badge I Class or higher 7 times. Receive the Ace Tanker Mastery Badge, 3 times. Coalition-15. This Is Gonna Be Legen-dary Earn a total of 15 rewards of the Battle Hero category and/or epic medals in a battle. Earn a total of 2 rewards of the Battle Hero category and/or epic medals in a battle. Union-1. Make It to the Podium Be among the top 3 players on your team by experience earned. Destroy an enemy vehicle / capture the base / defend the base (when playing for defenders in the in Assault mode). Survive the battle. Bloc-1. Just Routine Cause 6 000 HP of damage to enemy vehicles. Be among the top 3 players on your team by experience earned. Alliance-1. Invisible Contribution Cause 30% of the total amount of damage caused by your team. Destroy an enemy vehicle / capture the base / defend the base (when playing for defenders in the in Assault mode). Survive the battle. Coalition-1. Break the Line Destroy a total of 3 enemy heavy/medium tanks. Cause 2 000 HP of damage to enemy vehicles. Union-2. At the Forefront Destroy 1 enemy vehicle during the first 1.5 minutes of the battle. Survive the battle. Bloc-2. Hit It to the Bone Destroy enemy internal modules or injure crew members, totaling at least 5 modules or crew members. Cause 2 000 HP of damage to enemy vehicles. At the end of the battle, have no injured crew members or damaged/destroyed internal modules. Alliance-2. Whale Beach Destroy tracks of 3 different enemy vehicles. Your allies must cause 250 HP of damage to the vehicle immobilized by you. Destroy tracks of 2 enemy vehicles. Your allies must destroy the vehicles while they are immobilized. Coalition-2. Credible Deterrent Destroy tracks of 3 different enemy vehicles. Cause 5 armor-penetrating shots to immobilized enemy vehicles. Destroy 2 immobilized enemy vehicles. Destroy an enemy vehicle / capture the base / defend the base (when playing for defenders in the in Assault mode). Union-3. For the Good of the Team Be among the top 3 players on your team by experience earned. Cause 3 000 HP of damage to enemy vehicles.Destroy an enemy vehicle / capture the base / defend the base (when playing for defenders in the in Assault mode). Survive the battle. Bloc-3. At Point-blank Range Cause 3 000 HP of damage to enemy vehicles that are within your current view range (it may exceed 445 meters). Destroy 4 enemy vehicles. Alliance-3. Cloudy with a Chance of Shells Stun an enemy vehicle 10 times. Cause 6 armor-penetrating shots to enemy vehicles. Coalition-3. On Top Finish the battle as the top player on both teams by experience earned. Destroy an enemy vehicle / capture the base / defend the base (when playing for defenders in the in Assault mode). Union-4. None Shall Pass Destroy 6 enemy vehicles of 3 different types. Survive the battle. Bloc-4. I Can See Everything Enable your allies to destroy 4 enemy vehicles spotted by you. Enable your allies to cause damage to 5 enemy vehicles spotted by you. Alliance-4. There's Something In Those Trees Cause 3 000 HP HP of damage, remain unspotted at the moment when the damage is caused. Destroy an enemy vehicle / capture the base / defend the base (when playing for defenders in the in Assault mode). Survive the battle. Coalition-4. Shell After Shell Cause damage to 6 different enemy vehicles. Destroy an enemy vehicle / capture the base / defend the base (when playing for defenders in the in Assault mode). Survive the battle. Union-5. Enough Shells for Everyone Cause 15 armor-penetrating shots to enemy vehicles. Destroy 3 enemy vehicles. Bloc-5. I Just Met You, And This is Crazy... Cause 3 armor-penetrating shots to enemy SPGs. Destroy 1 enemy SPGs. Destroy an enemy vehicle / capture the base / defend the base (when playing for defenders in the in Assault mode). Survive the battle. Alliance-5. The Grim Grond Destroy an enemy vehicle by ramming. Survive the ramming attack on the enemy. Destroy an enemy vehicle / capture the base / defend the base (when playing for defenders in the in Assault mode). Survive the battle. Coalition-5. Lucky to Be Alive Destroy an enemy vehicle by ramming, causing more damage to the enemy than your vehicle receives. Survive the ramming. Destroy an enemy vehicle / capture the base / defend the base (when playing for defenders in the in Assault mode). Survive the battle. Union-6. Rain On the Parade Destroy 3 enemy vehicles during the first 3 minutes of the battle. Destroy an enemy vehicle / capture the base / defend the base (when playing for defenders in the in Assault mode). Survive the battle. Bloc-6. Offensive Reconnaissance Cause 10 armor-penetrating shots to enemy vehicles. Spot 4 enemy vehicles. Destroy 3 enemy vehicles. Alliance-6. Vertigo Stun enemy vehicles for a total of 150 seconds. Allies must destroy 2 enemy vehicles stunned or immobilized by you. Destroy an enemy vehicle / capture the base / defend the base (when playing for defenders in the in Assault mode). Coalition-6. More Than a Match Cause 10 armor-penetrating shots to enemy vehicles that are of the same tier as your vehicle or higher. Cause 3 000 HP of damage to enemy vehicles. Union-7. SPG Wanted!5 Spot and cause damage to 1 enemy SPG. Destroy 1 enemy SPG. Destroy an enemy vehicle / capture the base / defend the base (when playing for defenders in the in Assault mode). Survive the battle. Bloc-7. Getting Away With Murder Destroy 3 enemy vehicles, remaining unspotted at the moment of their destruction. Destroy an enemy vehicle / capture the base / defend the base (when playing for defenders in the in Assault mode). Survive the battle. Alliance-7. Ahead of the Game Be the top player on your team by damage caused. Survive the battle. Coalition-7. Better Luck Next Time Destroy an enemy light tank during the first 2 minutes of the battle. Destroy an enemy vehicle / capture the base / defend the base (when playing for defenders in the in Assault mode). Survive the battle. Union-8. It's Tiptop. I'm Just Not Sure About the Color. Destroy enemy internal modules or injure crew members, totaling at least7 modules or crew members. Destroy 3 enemy vehicles. Bloc-8. Catching Fire Set an enemy vehicle of the same tier or higher on fire. Be among the top 3 players on your team by experience earned. Alliance-8. A Four-leaf Clover Cause 4 times more damage than the hit points of your vehicle. Destroy an enemy vehicle / capture the base / defend the base (when playing for defenders in the in Assault mode). Survive the battle. Coalition-8. The One and Only Finish the battle as the top player on your team by experience earned. Destroy an enemy vehicle / capture the base / defend the base (when playing for defenders in the in Assault mode). Survive the battle. Union-9. Hunt for Heavies Cause 2 000 HP of damage to enemy heavy tanks. Destroy 2 heavy enemy tanks. Destroy an enemy vehicle / capture the base / defend the base (when playing for defenders in the in Assault mode). Survive the battle. Bloc-9. Falcon Rising Enable your allies to cause 3 000 HP of damage. Cause 2 000 HP of damage to enemy vehicles. Destroy an enemy vehicle / capture the base / defend the base (when playing for defenders in the in Assault mode). Survive the battle. Alliance-9. Now I See You Enable your allies to cause 5 000 HP of damage. Survive the battle. Coalition-9. Keep the Distance Cause 2 000 HP of damage from a distance of 250 m or more. Destroy 3 enemy vehicles. Union-10. Not a Step Forward! Destroy 2 enemy vehicles from a distance of 300 m or more. Cause 3 000 HP of damage to enemy vehicles. Bloc-10. Like a Boss Cause 4 000 HP of damage to enemy vehicles. At the end of the battle, have no injured crew members or damaged/destroyed internal modules. Destroy 4 enemy vehicles. Alliance-10. Everyone Will Get a Present Enable your allies to cause damage to 5 enemy vehicles by spotting them or destroying their tracks. Enable your allies to destroy 2 enemy vehicle by spotting them or destroying their tracks. Coalition-10. Five Stars Out of Five Destroy 5 enemy vehicles. Cause 3 000 HP of damage to enemy vehicles. Union-11. You Won't Get Rid of Me That Easily Spot 6 enemy vehicles while remaining unspotted. Destroy an enemy vehicle / capture the base / defend the base (when playing for defenders in the in Assault mode). Survive the battle. Bloc-11. The Thrill of the Hunt Destroy 6 enemy vehicles. Cause 3 000 HP of damage to enemy vehicles. Alliance-11. Hunt for Mediums Cause armor-penetrating shots to enemy medium tanks 6 times. Destroy an enemy medium tank. Cause 1 500 HP of damage to enemy vehicles. Coalition-11. There Is No Time to Bleed Block 3 times more damage than the hit points of your vehicle. Cause 3 000 HP of damage to enemy vehicles. Destroy an enemy vehicle / capture the base / defend the base (when playing for defenders in the in Assault mode). Survive the battle. Union-12. Can You Feel This Ranging In Ears? Stun enemy vehicles for a total of 200 seconds. Destroy 3 enemy vehicles. Bloc-12. The Dominator Finish the battle as the top player on both teams by damage caused. Cause 4 000 HP of damage to enemy vehicles. Survive the battle. Alliance-12. Catch Me If You Can Destroy 3 heavy enemy tanks. Cause 4 000 HP of damage to enemy vehicles. Destroy an enemy vehicle / capture the base / defend the base (when playing for defenders in the in Assault mode). Survive the battle. Coalition-12. Fire All You Have Got Cause 15 armor-penetrating shots to enemy vehicles. Destroy 3 enemy vehicles. Union-13. Family Combo, Please! Destroy 6 enemy vehicles of 3 different types. Cause 3 000 HP of damage to enemy vehicles. Bloc-13. The Collector Destroy 6 enemy vehicles of 3 different types. Destroy an enemy vehicle / capture the base / defend the base (when playing for defenders in the in Assault mode). Survive the battle. Alliance-13. Close-range Fire Destroy 3 enemy vehicles from a distance of not more than 100 meters. Cause 3 000 HP of damage to enemy vehicles. Coalition-13. Enemy at the Gates Participate in a successful capture of a base or reset the enemy capture points of your/neutral base. Cause 3 000 HP of damage to enemy vehicles. Destroy an enemy vehicle / capture the base / defend the base (when playing for defenders in the in Assault mode). Destroy 3 enemy vehicles. Union-14. Not Even a Scratch Destroy 3 enemy vehicles, having received no prior damage to your vehicle. Destroy an enemy vehicle / capture the base / defend the base (when playing for defenders in the in Assault mode). Survive the battle. Bloc-14. Heavy Case Cause 3 000 HP of damage to enemy heavy tanks. Destroy 4 enemy vehicles. Alliance-14. Knock-knock Stun enemy vehicles for a total of 180 seconds. Or destroy a track of an enemy vehicle, your allies must cause 800 HP of damage to the vehicle immobilized by you. Destroy an enemy vehicle / capture the base / defend the base (when playing for defenders in the in Assault mode). Coalition-14. Steel Reaper Destroy 7 enemy vehicles. Survive the battle. Union-15. Armour of God Cause, receive, and Bloc a total of 12 000 HP of damage. Cause 25% of the total amount of damage caused by your team. Destroy an enemy vehicle / capture the base / defend the base (when playing for defenders in the in Assault mode). Bloc-15. 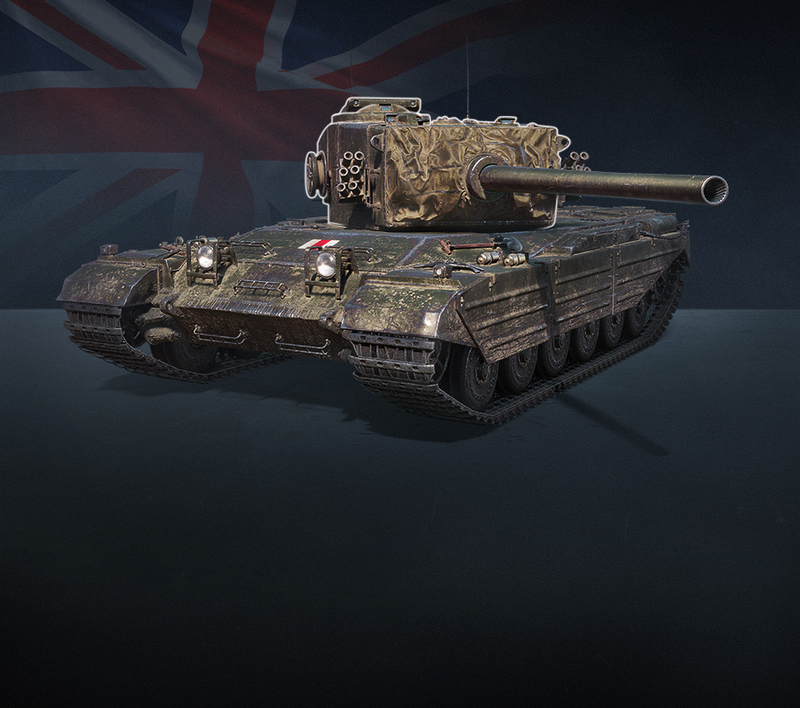 Night of a Hunter Cause 3 000 HP of damage to enemy tank destroyers. Cause damage to 7 different enemy vehicles. Destroy an enemy vehicle / capture the base / defend the base (when playing for defenders in the in Assault mode). Alliance-15. Commando Cause 8 000 HP of damage to enemy vehicles. Destroy 5 enemy vehicles. Destroy an enemy vehicle / capture the base / defend the base (when playing for defenders in the in Assault mode). Coalition-15. One May Army Damage caused and damage caused with your assistance must total 10 000 HP. Enable your allies to destroy 4 enemy vehicle by spotting them or destroying their tracks. Destroy an enemy vehicle / capture the base / defend the base (when playing for defenders in the in Assault mode). Union-1. Invaluable Assistance Enable your allies to cause the average of 2 000 HP of damage to enemy vehicles in a battle by spotting them or destroying their tracks within 5 battles. Enable your allies to cause 1 000 HP of damage to enemy vehicles in a battle by spotting them or destroying their tracks within 5 battles. Enable your allies to cause the average of 1 000 HP of damage to enemy vehicles in a battle by spotting them or destroying their tracks. Enable your allies to cause 1 000 HP of damage to enemy vehicles in a battle by spotting them or destroying their tracks. Bloc-1. Smoking Barrel Cause 3 500 HP of damage to enemy vehicles within 3 battles in a row. Cause 4 000 HP of damage to enemy vehicles. Alliance-1. A Sure Shooter Earn Fire for Effect reward 5 times within 10 battles. Earn Fire for Effect reward 7 times within 10 battles. Coalition-1. Furious Fighter Earn the Fighter award 3 times within 10 battles. Earn the Fighter award 4 times within 10 battles. Union-2. Effective Fire Cause twice more damage than the hit points of your vehicle within each of 3 battles. Cause tree times more damage than the hit points of your vehicle within each of 3 battles. Bloc-2. The Diamond Armor Earn the Shellproof award 4 times within 10 battles. 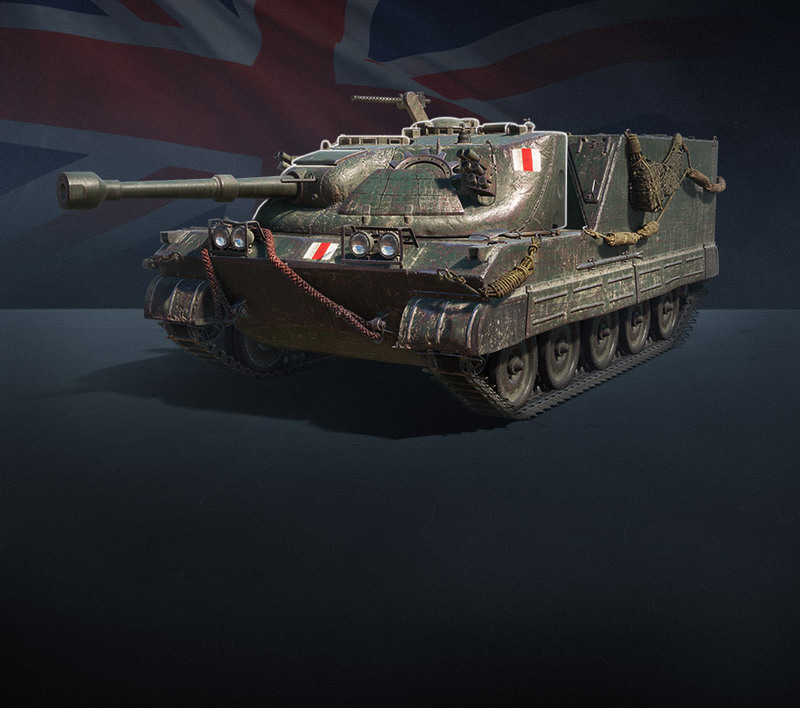 Earn the Shellproof award 5 times within 10 battles. Alliance-2. Among the Best Be among the top 3 players on your team by damage caused within each of 5 battles. Be the top player on your team by damage caused within each of 5 battles. Coalition-2. The Top Gun Cause 3 000 of damage to enemy vehicles within each of 5 battles. Cause 4 000 of damage to enemy vehicles within each of 5 battles. Union-3. Not a Step Back Destroy 15 enemy vehicles within 10 battles. Destroy 20 enemy vehicles within 10 battles. Bloc-3. The Punisher Destroy 2 enemy vehicles in 2 out of 5 battles. Destroy 4 enemy vehicles in 2 out of 5 battles. Alliance-3. The Duty Never Ends Enable your allies to destroy the average of 2 enemy vehicles in a battle by spotting them or destroying their tracks within 10 battles. Enable your allies to destroy 1 enemy vehicle by spotting them or destroying their tracks within 10 battles. Enable your allies to destroy the average of 3 enemy vehicles in a battle by spotting them or destroying their tracks within 10 battles. Enable your allies to destroy 1 enemy vehicle by spotting them or destroying their tracks within 10 battles. Coalition-3. The War Horse Earn a total of 5 rewards of the Battle Hero category and/or epic medals in a battle within 7 battles. Earn a total of 7 rewards of the Battle Hero category and/or epic medals in a battle within 7 battles. Union-4. Your Shell not Passed! Bloc the average of 8 enemy hits within 5 battles. Block at least 2 enemy hits. Bloc the average of 12 enemy hits within 5 battles. Block at least 2 enemy hits. Bloc-4. The Willing Heart Enable your allies to destroy 2 enemy vehicle by spotting them or destroying their tracks within each of 3 battles. Enable your allies to destroy 3 enemy vehicle by spotting them or destroying their tracks within each of 3 battles. Alliance-4. Just Warming Up Cause 30 000 HP of damage to enemy vehicles within 10 battles. Cause 35 000 HP of damage to enemy vehicles within 10 battles. Union-5. Heroic Triple Be among the top 3 players on both teams by damage caused in each of 5 battles. Finish the battle as the top player on both teams by damage caused in each of 5 battles. Bloc-5. Flying High Cause the at least 3 000 HP of average damage within 10 battles. Cause 1 000 HP of damage to enemy vehicles within 10 battles. Cause the at least 3 500 HP of average damage within 10 battles. Cause 1 000 HP of damage to enemy vehicles within 10 battles. Alliance-5. Stunning Performance Stun a total of 40 different enemy vehicles within each of 10 battles. Stun a total of 50 different enemy vehicles within each of 10 battles. Coalition-5. I Will Be Your Shield Block 30 enemy hits within 10 battles. Block 40 enemy hits within 10 battles. Union-6. Don't Stop Me Now Be the top player on your team by number of vehicles destroyed in a battle 3 times within 7 battles. Destroy 2 enemy vehicles. Be the top player on your team by number of vehicles destroyed in a battle 5 times within 7 battles. Destroy 2 enemy vehicles. Bloc-6. Again and Again Destroy 3 enemy vehicles of 2 different types within each of 2 battles. Destroy 4 enemy vehicles of 3 different types within each of 2 battles. Alliance-6. Reliable Ally Earn the Confederate award 2 times within 7 battles. Earn the Confederate award 3 times within 7 battles. Coalition-6. Stiletto Score an armor-penetrating hit to an enemy vehicle 75 times within 10 battles. Score an armor-penetrating hit to an enemy vehicle 90 times within 10 battles. Union-7. Is There Anyone There? Destroy enemy internal modules or injure crew members, totaling at least 3 modules or crew members within each of 3 battles. Destroy enemy internal modules or injure crew members, totaling at least 5 modules or crew members within each of 3 battles. Bloc-7. Termination Be the top player on both teams by number of destroyed vehicles in each of 3 battles within 7 battles. Destroy 2 enemy vehicles in a battle. Be the top player on both teams by number of destroyed vehicles in each of 5 battles within 7 battles. Destroy 2 enemy vehicles in a battle. Alliance-7. 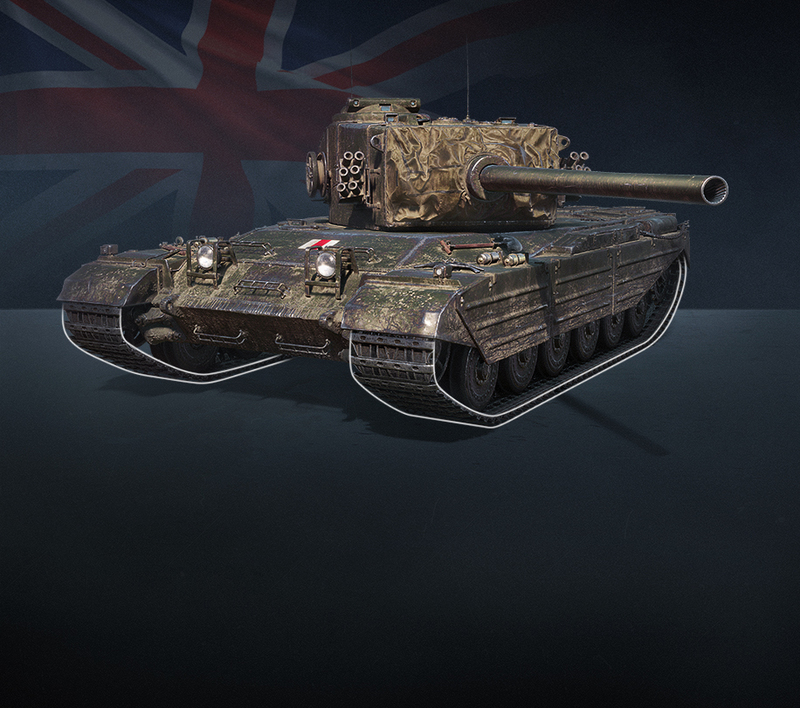 In Armor We Trust The average damage blocked should be 2 000 HP within 10 battles. Block at least 750 HP of damage in a battle. The average damage blocked should be 2 500 HP within 10 battles. Block at least 750 HP of damage in a battle. Coalition-7. Nothing Personal, It Is Just Business Destroy 2 enemy vehicles of 2 different types within each of 3 battles. Destroy 3 enemy vehicles of 2 different types within each of 3 battles. Union-8. Lone Wolf Earn Fire for Effect reward 7 times within 10 battles. Earn Fire for Effect reward 10 times within 10 battles. Bloc-8. The Hole Punch9 Score an armor-penetrating hit to an enemy vehicle 7 times witihn each of 3 battles. Score an armor-penetrating hit to an enemy vehicle 12 times witihn each of 3 battles. Alliance-8. Simple Geometry Destroy enemy internal modules or injure crew members, totaling at least 30 modules or crew members within 10 battles. Destroy enemy internal modules or injure crew members, totaling at least 35 modules or crew members within 10 battles. Coalition-8. My Duty Never Ends Earn the Patrol Duty award twice within 10 battles. Earn the Patrol Duty award three times within 10 battles. Union-9. Open Season Destroy 3 enemy vehicles within each of 2 battles. Destroy 4 enemy vehicles within each of 2 battles. Bloc-9. 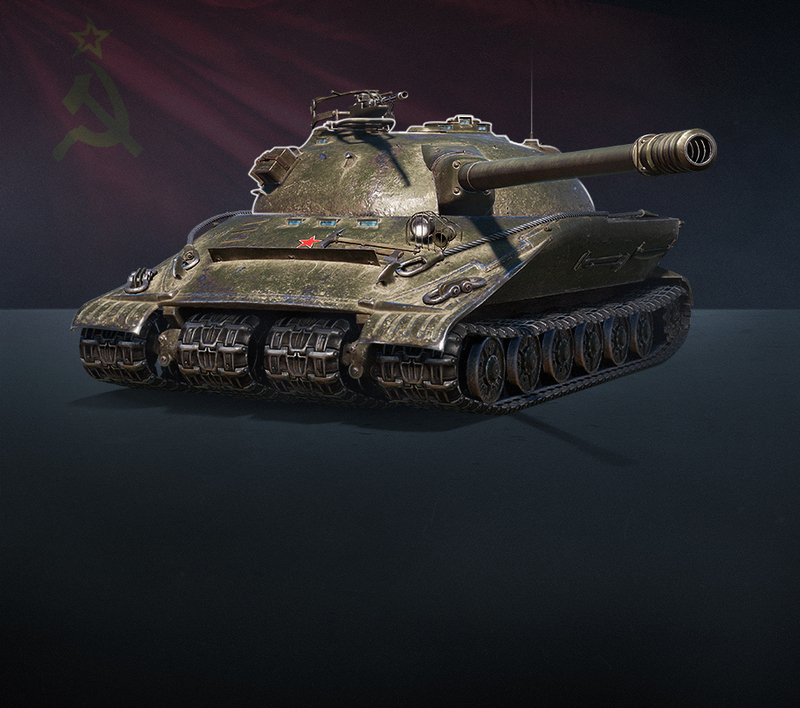 The Guiding Star Enable your allies to cause a total of 15 000 HP damage to enemy vehicles by spotting them or destroying their tracks within 10 battles. Enable your allies to cause a total of 17 000 HP damage to enemy vehicles by spotting them or destroying their tracks within 10 battles. Alliance-9. Sparks in Eyes Stun enemy vehicles for a total of 1 800 seconds within each of 10 battles. Stun enemy vehicles for a total of 2 000 seconds within each of 10 battles. Union-10. I Am Rock Block 15 000 of damage within 10 battles. Block 17 000 of damage within 10 battles. Bloc-10. 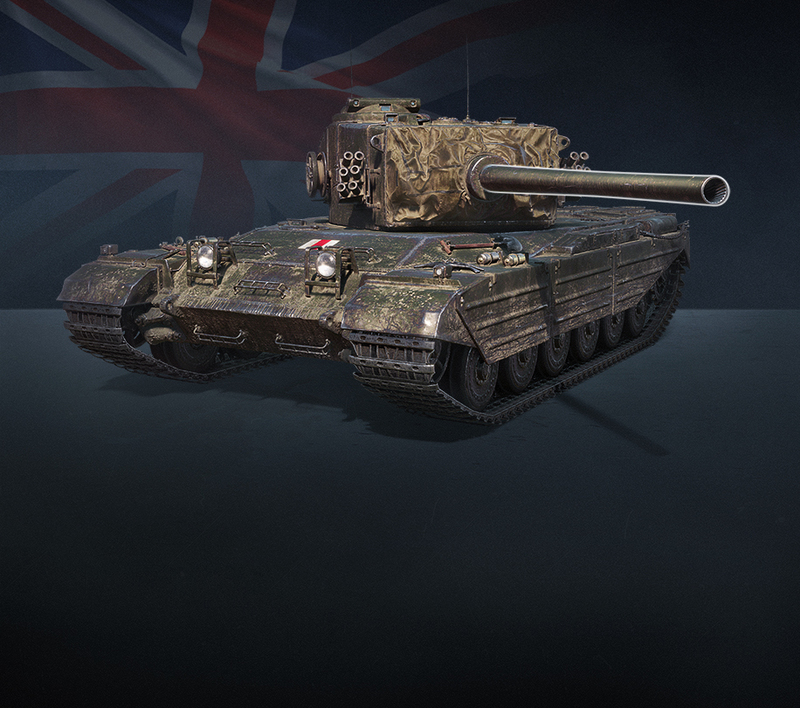 The Good Samaritan Earn the High Caliber award 4 times within 10 battles. 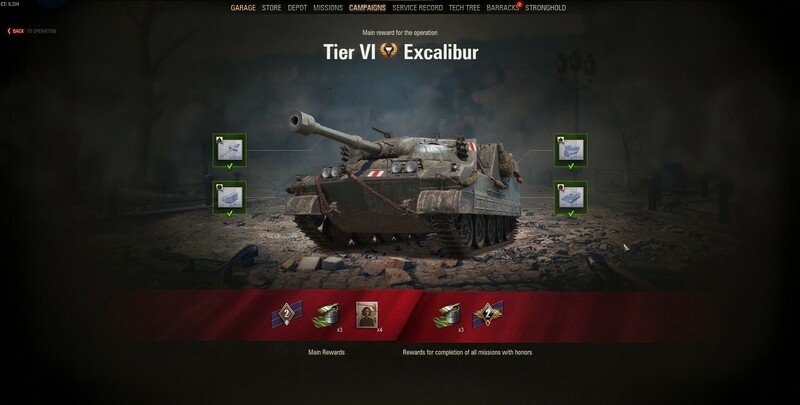 Earn the High Caliber award 5 times within 10 battles. Alliance-10. Unlock the Potential Cause 2 times more than the hit points of your vehicle in 4 out of 7 battles. Cause 2 times more than the hit points of your vehicle in 5 out of 7 battles. Coalition-10. You Cannot Hide Enable your allies to cause 1 500 HP of damage to enemy vehicles by spotting or destroying their tracks within each of 3 battles. Enable your allies to cause 1 700 HP of damage to enemy vehicles by spotting or destroying their tracks within each of 3 battles. Bloc-11. Safari Cause damage to 4 different enemy vehicles within each of 3 battles. Cause damage to 4 different enemy vehicles within each of 3 battles. Alliance-11. The Right Place at the Right Time Enable your allies to cause a total of 1 200 HP damage to enemy vehicles stunned by you within 4 battles out of 10. Enable your allies to cause a total of 1 500 HP damage to enemy vehicles stunned by you within 4 battles out of 10. Coalition-11. Lord of Destruction Be the top player on both teams by number of destroyed vehicles within 3 battles out of 7. Destroy 2 enemy vehicles. Be the top player on both teams by number of destroyed vehicles within 4 battles out of 7. Destroy 2 enemy vehicles. Union-12. Every Possible Assistance Enable your allies to destroy 7 enemy vehicle by spotting them or destroying their tracks within 10 battles. Enable your allies to destroy 10 enemy vehicle by spotting them or destroying their tracks within 10 battles. Bloc-12. A Knight in Shining Armor Be the top player on your team by total damage blocked by armor within 3 out of 7 battles. Block 1 000 HP of damage in a battle. Be the top player on your team by total damage blocked by armor within 4 out of 7 battles. Block 1 000 HP of damage in a battle. Alliance-12. Rock-Solid Be the top player on both teams by damage blocked within 3 out of 7 battles. Block 1 000 HP of damage in a battle. Be the top player on both teams by damage blocked within 3 out of 7 battles. Block 1 000 HP of damage in a battle. Coalition-12. Honorable Service Earn a total of 5 rewards of the Battle Hero category and/or epic medals in a battle within 10 battles. Earn a total of 7 rewards of the Battle Hero category and/or epic medals in a battle within 10 battles. Union-13. The Moment of Glory Earn the Top Gun award twice within 10 battles. Earn the Top Gun award three times within 10 battles. Bloc-13. Hand of the Master Destroy an average of 2 enemy vehicles in a battle within 10 battles. Destroy 1 enemy vehicles in a battle. Destroy an average of 3 enemy vehicles in a battle within 10 battles. Destroy 1 enemy vehicles in a battle. Coalition-13. Dangerous and Moving Block twice more damage than the hit points of your vehicle within 3 battles out of 5. Block twice more damage than the hit points of your vehicle within 4 battles out of 5. Union-14. Heavy Rain Stun enemy vehicles 80 times within 10 battles. Stun enemy vehicles 90 times within 10 battles. Bloc-14. The Sky Is the Limit Be the top player on your team by damage caused within 3 out 5 battles. Be the top player on your team by damage caused within 5 out 5 battles. Alliance-14. Welcome to My Collection Cause damage to 30 different enemy vehicles within 7 battles. Cause damage to 40 different enemy vehicles within 7 battles. Coalition-14. King of the Hill In 3 battles be the top player on both teams by damage caused within 5 battles. In 5 battles be the top player on both teams by damage caused within 5 battles. Union-15. The Pride of the Union Receive the Mastery Badge I Class or higher within 3 battles out of 10. Receive the Mastery Badge I Class or higher within 4 battles out of 10. Bloc-15. As Easy as ABC Receive the Mastery Badge I Class or higher within 3 battles out of 10. Receive the Ace Tanker Mastery Badge or higher within 4 battles out of 10. Alliance-15. For the Alliance! 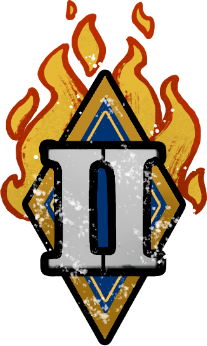 Receive the Mastery Badge I Class or higher within 3 battles out of 10. Receive the Ace Tanker Mastery Badge within 4 battles out of 10. Coalition-15. Way to Go! Receive the Mastery Badge I Class or higher within 3 battles out of 10. Receive the Ace Tanker Mastery Badge within 4 battles out of 10. Those of you who complete the operation before the next one starts will be duly rewarded with a special emblem to apply to your tanks so you can flex in front of the other tankers you meet. Now you can go and complete these missions in any vehicle type you see fit. Our team have been hard at work checking for and ironing out all the creases ready for the launch of The Second Front. With their efforts, players will now have an easier time understanding how many battles are needed to fulfill a mission’s conditions. Also, we heard your feedback about keeping track of your mission in battle. Now, the addition of a live progress bar makes it simpler to see how close you are to completion. Orders will differ between the two campaigns so no player can simply buy the tank outright. We chose not to combine the Orders with the first campaign’s ones as these new Personal Missions are all about fresh challenges, tasks and rewards. You can earn Orders by completing the final combat missions of each operation with honors. Finally, in the first campaign, after completing a set of missions, you were given specific parts to the tank. Not anymore. Now you will be granted their blueprints. 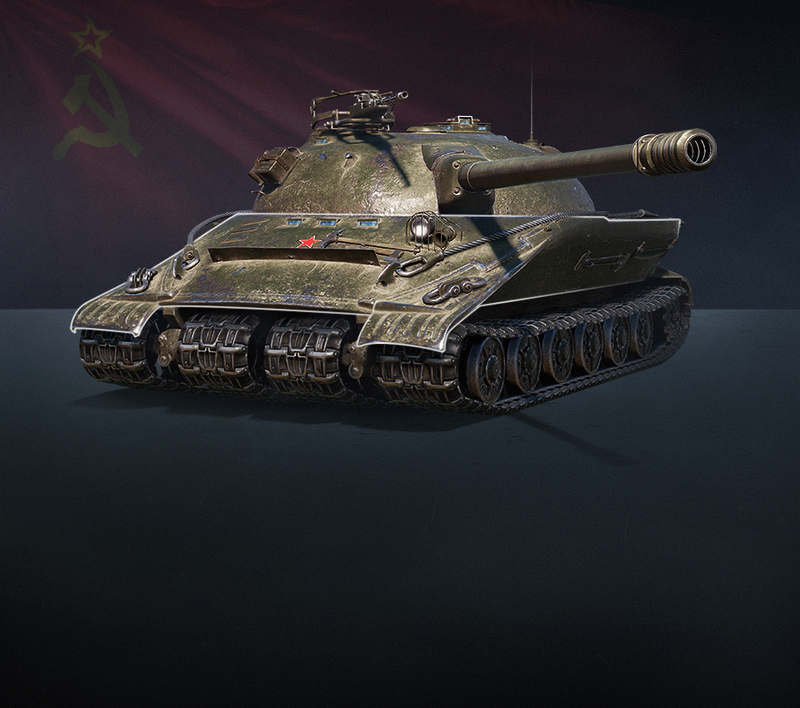 The core concept remains the same: unlock 4 blueprints and you earn the tank. But don’t worry, you will not lose your progress on already started missions from the first campaign! 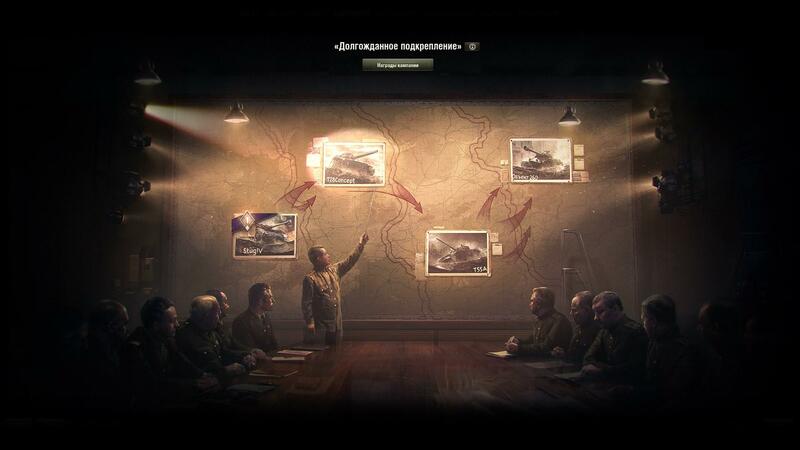 Hone your skills and refine your tactics for The Second Front, Commanders!